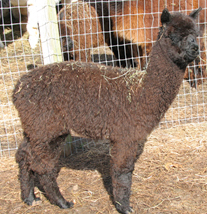 We have years of experience as alpaca breeders and would love to answer any questions you may have about of our alpacas for sale. Give us a call today at 508-642-3767 or send an email to DRose15095@aol.com and we will gladly assist you! 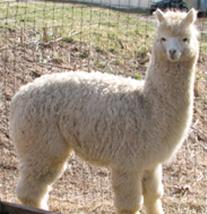 Brees is pure white with very soft and dense fleece and has a large frame. 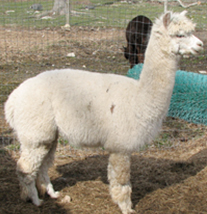 Brees has very fine, soft, dense fleece and has a lot of crimp in his fiber. He has taken either 1st or 2nd in spin-offs and was 4th at the Big E in 2009. He has a wonderful temperament and easy to handle. 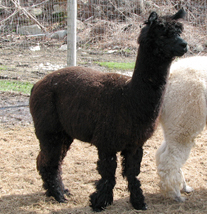 Midnight is true black with great head coverage and very soft fleece. Sam is true black with great fleece. He has a first and second in the spin-offs he has entered. Peyton has good brightness and crimpness to his fiber as well as fineness. He could be also be upgrade to herdsire. 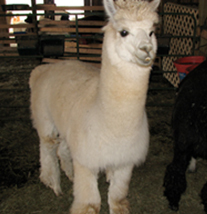 Redstone is medium fawn with very soft and crimpy fleece, he placed 4th at the Big E in 2009. 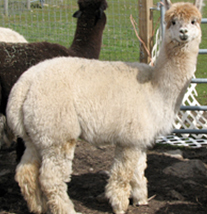 Brady is a big boy with very fine and dense fleece, he is extremely easy to handle.